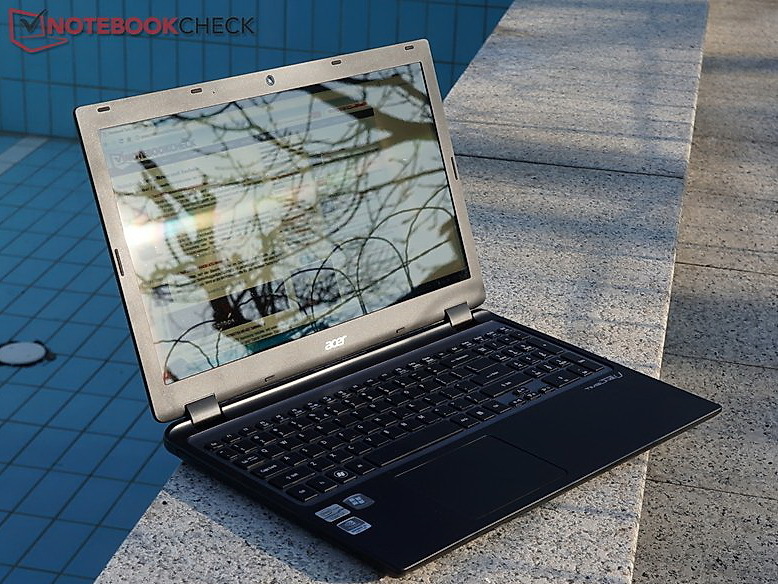 The Aspire Timeline Ultra M3 notebooks have now been made available by Acer. Starting at 600 Euros, the notebooks weigh around 2 kg, and are the first Ultrabooks to offer dedicated NVIDIA graphics. First announced back at CeBIT 2012, Acer's Timeline Ultra M3 notebooks are the first Ultrabooks to feature a 15.6" display, two physical drives and a dedicated graphics card. Acer's newest Ultrabooks also come with a magnesium chassis, a weight of just 2 kg, are capable of holding an SSD, HDD as well as an optical drive, and are now available for purchase in Europe. Starting things off, 599 Euros will get you the base model which only features an i3 processor and Integrated Intel HD graphics. However, the more advanced models come with NVIDIA's GeForce GT 640M GPU, which is a mid-range, DirectX 11.1 capable card based on NVIDIA's new Kepler architecture. In our review of the device, we tested a Core i7 equipped Timeline Ultra M3, but the NVIDIA GPU still proved capable of quality gaming performance. As for the other available Ultra M3 configurations, the M3-581TG 32364G52Mnk with 500GB of storage and NVIDIA graphics will cost 699 euros, while the M3-581TG 52464G52Mnk costs 100 euros more but features a Core i5-2467M CPU rather than a Core i3-2367M. Finally, the top of the line M3-581TG 72634G25Mnk comes with a Core i7-2637M 2.8GHz CPU, a 256GB SSD and a €1,199 price tag.